Free essential guide on hydration for health, unveiling the myths about what we should be drinking, how much and why it is at the core of how we look and feel! Plus, we have included a free water log to encourage you to start taking note of your liquid consumption so you can start to make positive changes in your life. 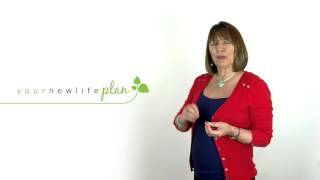 Please note: this is just a small part of the information available within the YourNewLifePlan Vibrant Life membership site. Creating a clean, alkaline environment in your body is essential for life-long health in mind and body. This starts from the most basic, and inexpensive resources currently available to us; water! Start to take control of your health by absorbing the information from this free eBook and applying the simple steps to hydrate each and every one of the cells in your body, today! free and simple techniques to start feeling and better, right now! an easy to follow daily strategy of how much to drink and when to make each and every one of your 75 trillion cells in your body hydrated, healthy and happy! I’ve observed 100’s of clients of the last 12+ years achieve a significant improvement in their health and well-being, just by drinking more water! Sometimes, that’s all it takes. So give it a go. Take the first step and download this free eBook. You have nothing to lose but so much to gain!